Mbembe’s 'Critique of Black Reason' is useful for our analysis of the postcolonial present. Image credit Heike Huslage-Koch via Wikimedia Commons. For Fanon, the term “Black” is more a mechanism of attribution than of self-designation. I am not Black, Fanon declares, any more than I am a Black Man. Black is neither my first name nor my last name, even less my essence or my identity. I am a human being, and that is all… I remain a complete human being no matter how violent are the efforts aimed at making me think that I am not. –Achille Mbembe, Critique of Black Reason, translated by Laurent Dubois, Duke University Press (2017). 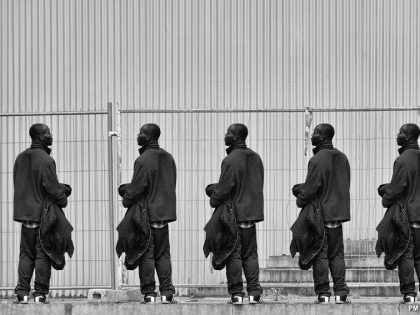 When Achille Mbembe, arguably the most central postcolonial African intellectual, lands in Norway on his first ever visit to the country this December, it is in the context of almost six months of heated debates about “decolonizing the academy” in Norway. 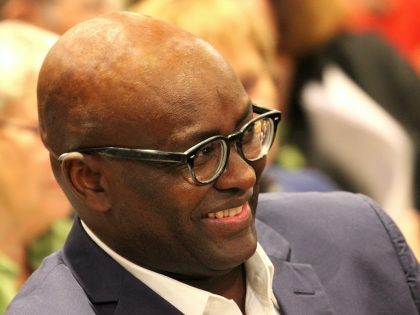 Mbembe’s first ever visit to Norway is a result of an invitation to take part in the annual Holberg Debate at the University of Bergen, on December 1, 2018. Mbembe is also scheduled to appear at an event at the House of Literature in the Norwegian capital of Oslo on December 4. 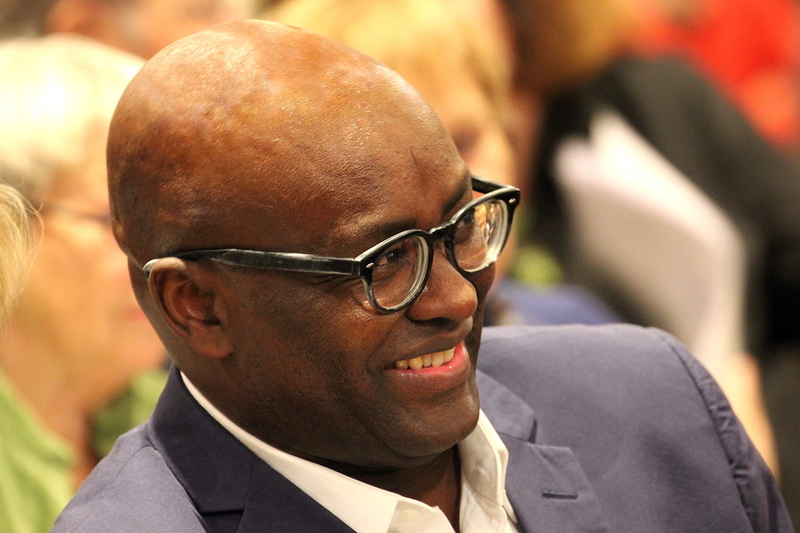 Mbembe’s work is relatively unique for its ability to transcend and straddle the limitations of the Francophone and Anglo-Saxon academic and public spheres, not only in Africa, but also in Europe, from the vantage point of Mbembe’s adopted homeland South Africa. Mbembe’s background and training makes him uniquely positioned to do this. Born in Otèle in Cameroon in 1957, he holds a PhD in history from the Sorbonne in Paris (1988), and held an associate professorship in history at Columbia University in New York before taking up the position of executive director at CODESRIA in Dakar, Senegal from 1996 to 2000, and then in the early 2000s moving to WISER at Wits University in South Africa. He has held visiting professorships at Yale, Duke and Harvard University, and is a member of the prestigious National Academy of Arts and Sciences in the USA. To straddle these worlds is no mean feat on Mbembe’s part, which he seems highly cognizant of in his own work, requires engaging with both the continental African, the Afro-American and the European African archive. I first started reading Mbembe as a doctoral candidate working on Muslim communities in Cape Town in South Africa in the early 2000s. The English translation of Mbembe’s breakthrough monograph On the Postcolony had by then started making its rounds in circles of scholars and students with an interest in postcolonial theory across the globe. I cannot now recall the experience of reading it for the first time, but do expect that I found Mbembe’s characterization of the theatrics and performativity of political power in post-colonial West Africa both fascinating and apt. In South Africa, one was still in the early and heady days of the presidency of Thabo Mbeki (1999-2008), who more than anything seemed to want to be known as a cerebral intellectual. Little did one know then that Mbeki’s presidency would pave the way for the theatrical and corrupt parody of African post-colonial leaders that Jacob G. Zuma (2008-2017) came to represent. But what should be abundantly clear from any reader of Mbembe is that his work is written against the backdrop of the disillusionment generated by the crushing of the hopes and aspirations of the decolonizing movement in Africa in the 1950s and 60s. The spell has long since been broken, and there can be no turning back. The late Frantz Fanon (1925-61) of course sounded the warning about postcolonial elites turning into predators on their own societies already in his A Dying Colonialism. In Mbembe’s work, recognition of this very fact is an ontological and epistemological requirement. By failing to envision post-colonial alternatives to that of the nationalisms within which they had been molded by European colonialism, “postwar African nationalism followed the tendencies of the moment by replacing the concept of civilization with that of progress. But this was simply a way to embrace the teleologies of the period,” writes Mbembe insightfully in Critique of Black Reason (page 88). “The problematic of the conquest of power dominated anticolonial nationalist thought and practices,” so that once the conquest of power had been achieved (and, lest we forget, from Cameroon to the Congo, often with more than a little assistance from the military and intelligence services of the former colonial powers, keen to install political leaders who were not openly antagonistic), power could be turned inwards towards oppression and subjugation of countervailing forces and personal enrichment. Mbembe’s Critique of Black Reason is among other things an extensive personal meditation on the thought of Fanon and what it means for our analysis of the postcolonial present. It is a meditation which takes in reflections on a wide range of central intellectuals in the black Atlantic anti-colonial and anti-racist canon from Aimé Césaire to Marcus Garvey as well as European poststructuralists such as Michel Foucault and Jacques Lacan. But the central figure in Mbembe’s panoply of thinkers in this monograph is undoubtedly Fanon. In his meditations on Fanon and his legacies, Mbembe positions himself as a critic of French colonial amnesia and aphasia—the very amnesia and aphasia which after the defeat of French colonialism in Algeria 1954-62 led France not only to suppress its colonial thought, but also the very name of Fanon, and places himself within postcolonial thought and critical race theory. For all their analytical differences and the radically different routes they would take politically (and Césaire was as Fanon’s most outstanding biographer David Macey has noted, a crucially important early influence on Fanon) Mbembe considers it important that we re-read Césaire “with Fanon.” For Mbembe, then, Césaire cannot be locked within “a carceral conception of identity” nor should his thought be relegated to “a form of racial tribalism” (page 157); Césaire and other Negritudes’ “concern for the Black Man makes sense only because it opens the way for a reimagining of the universal community” of Man (page 158). Fanon has in the Norwegian context, in spite of the efforts of Africanist scholars in Norway to properly situate and contextualize his work, often been stereotyped as a simple proponent of political violence in recent times. Mbembe’s central concern in his readings of Fanon is to resurrect Fanon’s quest for what Fanon himself referred to as “a greater fraternity” and a “humanism made to the measure of the world” (Critique of Black Reason, page 160). For in our current world of “hierarchical division” and of “various forms of apartheid, marginalization, and structural destitution” the idea of a “common human condition” and a “universal humanism” to which Fanon remained committed as a “situated thinker” is as Mbembe rightly notes, more often a matter of “pious declarations” rather than actual “practice” (page 161). Mbembe’s is a strong reminder that far from being an advocate of indiscriminate political violence, Fanon’s conceptualization of violence was conditioned by very specific historical conditions, namely those of the “necropolitical” and “genocidal impulses” of European colonialism in its “founding, empirical and phenomenal” dimensions as these played out in the brutal Algerian war for independence from 1954 to 1962 (page 162-64). Much as Europeans, who no longer live on a continent that can consider itself “the center of gravity of the world” (page 1), would like to think that the world and wounds that made Fanon is one we have left behind for good, “neo- and para-colonial wars are, after all, flourishing once again” and marked by a “mix of militarism, counterinsurgency, and the pillage of resources from a distance” (page 170). As Dorothea Gädeke has noted in a recent fine review of Mbembe’s three latest monographs, the wider epistemological project in which Mbembe is involved in, is one of “thinking the world from Africa.” It is as such, not entirely unrelated to the South African-born anthropologists John L. and Jean Comaroff’s long-standing engagement with “Theory from the South,” in which postcolonial Africa is in many respects conceived of as a harbinger of developments in the Global North. For Mbembe, who in Critique of Black Reason retains a proverbial “optimism of the will” that appears to be much less prominent in his subsequent volume, The Politics of Emnity (2017), struggle as a “praxis of liberation” for black people, for any people, “will have to be carried out not with the goal of separating oneself from other humans but in solidarity with humanity itself” (Critique of Black Reason, page 176.) It should never be taken to mean an evisceration of slavery and colonization and its linkages to the present fortification of Europe by means of bordering and exclusionary and discriminatory legislation, but entails an active will to “escape the status of victimhood” and to break with “the denial of responsibility” (pages 176-78). If there is a limitation in Mbembe’s charting of a way forward from the morass of decolonization, it is Mbembe’s lack of attention to class and social status: like in Mbembe’s Out of The Dark Night, African urban artists and intellectuals figure prominently as an avantgarde for the Afropolitan modernity that he envisions in Critique of Black Reason. And yet for all their transnational and transcontinental imaginaries, prefigured by what Paul Gilroy have referred to as the “Black Atlantic,” theirs is of course a vision severely restricted in potential and application precisely by their social positionality in the postcolony. Nonetheless, there can be little doubt that Achille Mbembe is and remains one of the most profoundly original and wide-ranging postcolonial scholars and intellectuals of our times. Mbembe’s ‘Critique of Black Reason’ is useful for our analysis of the postcolonial present. The capacity to decide who can move, who can settle, where and under what conditions is increasingly becoming the core of political struggles. 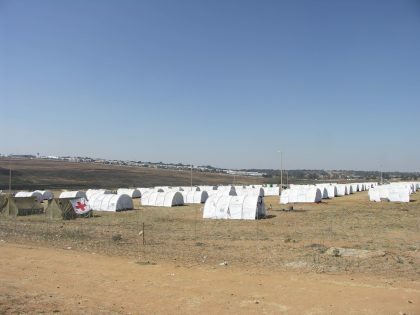 Why has this country historically represented a “circle of death” for anything and anybody ‘African’?